India has followed the practise of promoting private industry / entrepreneurs’ investments in ‘for agriculture’ infrastructure (both post-harvest and pre-harvest), as the preferred option. Most importantly, Indian government, linked its infrastructure subsidy to independent bank appraisals and to the quantum of credit taken and therefore to the commercial viability of such investment. India has also taken a “System Approach” to post-harvest infrastructure investments. This was done by recent rationalisation of its prevalent support schemes; including the induction of modern technologies. Rationalising institutional support into component items of post-harvest infrastructure allows scope to provide strategic direction to development. Weak areas can be included as a support component and the support for other components can be eased as per need. By promoting modernisation of existing infrastructure as well capacity expansion, the scope for unnecessary cost overruns and capacity overruns are reduced. Investors no longer need to view government assistance as a onetime opportunity but as strategic support that incentivises responsible development at each stage. Supporting modernisation has also made sure that we stay green and efficient in this sector. Investments that aid direct market linkage help to develop extended value chains from farm-to-market. This is a declared thrust area and key to sustaining economics & safeguarding inputs. Policy support is also directed at investments in planting material, water management, markets, farm modernisation & mechanisation. Taking a system approach with scope to add scale is more conducive to need based development viz a “one-off” one-time project based approach. This has allowed for expansion, integration and collaboration between existing and new infrastructure. There is burgeoning response from private investors in select areas. However, investors having a stake in integrated development across the extended value chain are not frequent. Experienced stakeholders are far and few, suggesting a need for greater capacity building. Instead of promoters raising excess capacity to take advantage of any one-time policy opportunity, a steady state open-ended support mechanism tends to result in a reduction of unnecessary spend and locking of capital in the unviable investment. This also helps free capital for other deployment and for recurring operational expenses. The making available of institutional support for capacity expansion or modernisation has resulted in improved and more efficient technologies being inducted. Productivity measures need to be related to gainful end use and not only per hectare yield. A value chain approach to productivity needs to be promulgated. It is clear that investment in market connectivity leads to the development of market linked value chains and this in-turn allows for justifiable and responsible production based investments. Economy of scale in logistics requires partnerships at farm level and the breaking of cultural and regional barriers. A dynamic supply chain has greater positive impact on price stability and productivity, than disconnected static storage of food items. 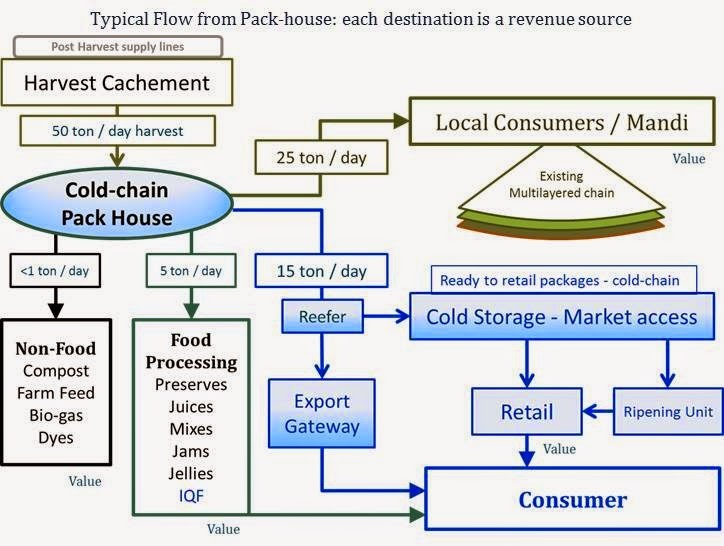 Logistics operated by produce owner are typically more efficient than service provider models. Currently, experience indicates that the preference from private stakeholders is to develop independent value chain components, and there are limited takers for public-private business models in the post-harvest perishables space. Public private partnerships are more easily acceptable in knowledge dissemination and research spheres. Promoting of farmer groups and farmer producer organisations is the next step to farmer cooperative and one of the better examples from India. Implementing Centres of Excellence and technology demonstrations has improved skills and technical capacity at farm-gate. A readiness to develop modern pack-houses and collection centres at village level is evidenced. In association, the practise of promoting driver entrepreneurs linked to pack-houses is picking up. Besides weather forecast and soil health information through SMS-internet the nationwide practise of informing market arrivals and prices on a daily basis, is another practise which helps income generation. Promoting Solar / alternate energy powered equipment at farm-gate and in the cold-chain has helped develop innovative practises and brought quality near farm jobs. Similarly, localised project handling and equipment maintenance capabilities have been developed at rural end. Farmer cooperatives and farmer groups lead to more productive employment and a sharing of market access (transport) costs due to associated economy of scale. Negating Traditional and fragmented farming practises take extended persuasion periods. The development of back-end handling facilities (modern pack-houses), is expected to add to growing employment opportunity to rural women and youth at first mile of the value chain. Driver owners of perishable transport helps build market connectivity though this may require more support. Greater transparency that empowers farmers with the ability to take market linked decisions and allows for improved harvest patterns and resource management, leading to better risk reward ratios. Trends indicate a move towards more organised farming and a collaboration in high value farming, specially horticulture and animal husbandry. Increased ability to diversify into livestock, bee keeping, field crops and building alternate revenue sources as counter to uncertainty in single type agriculture. Rural community quick to accept green solutions. Greener and more environment friendly agriculture. Not only from production practises but also from reduced Food Loss & Waste. Localised project handling capacity requires continued development. Inherent self-reliance of rural community endorses near-farm employment opportunities. Benefits from creating near-farm-jobs in terms of value linked sustained employment, helps take agriculture from peasant mode to market linked. Associated logistical links do not develop as fast as is required. Leverage an expansive PDS network and Adhaar system to provide access to food. Previously established PDS being revamped and upgraded. Concerted effort to promote development of privately driven supply chains, especially in cold-chain for fresh farm produce. 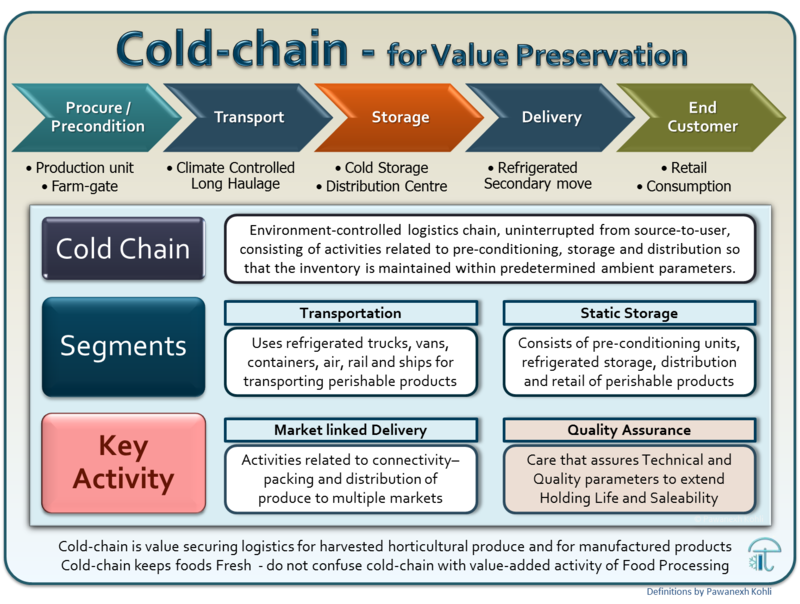 Expanding food supply by expanding market footprints beyond the inherent limits of perishability - developing cold-chain as a thrust area, moving from storage to supply chain system. Rejuvenation of senile plantations and promoting crop rotation systems to make resource use more sustainable. Leads to useful productivity and greater sustainability. 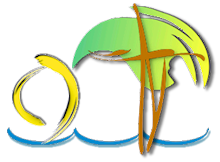 Water shed management and micro-irrigation/fertigation to mitigate water resource degradation. Coupled with soil testing programs for improved decision making in INM/IPM and cropping practises. Promoting organic produce for greater health of soil, consumer and economics. Greater international collaboration for technology and knowledge transfer, harmonising of practises, scientific resource sharing, R&D in building resilience in food species (crops and livestock). Improvement in Food and nutritional security with access to quality food by a larger consumer base. Greater reliance and improved value realisation from fresh whole food, and value added foods. Expanded market reach by producers, leads to a market driven increase in production. In addition, it feeds improved resource utilisation and greater productivity, both by area and by value realisation. Conceptual change in technology use and changed practises adds to valuable resource conservation. Production frequently surpasses supply chain handling capabilities. Expanding food supply and reach to more markets is key to reducing loss & waste, making agriculture economically sustainable.